MISSION ESL COMPUTER LAB: "Home to Unusual Creatures: The Galapagos"
"Home to Unusual Creatures: The Galapagos"
I'm Shirley Griffith. And I'm Steve Ember with EXPLORATIONS in VOA Special English. Today, we tell about the Galapagos Islands in the Pacific Ocean and the unusual creatures that live there.The 19 islands that make up the Galapagos lie along the equator 1,000 kilometers west of Ecuador. The islands are named for the giant tortoises that live there. 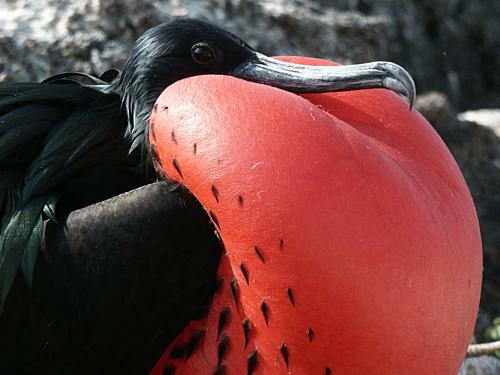 Galapagos has been called "a living museum and showcase of evolution." The animals on the islands influenced British nature scientist Charles Darwin's ideas about evolution by natural selection. The World Heritage Committee said increased tourism, immigration and invasive species threaten the animals of the Galapagos. Many of these animals are found nowhere else in the world. The committee noted that the number of days spent by passengers on ships in the area has increased by 150% in the last 14 years. The number of visitors each year has doubled in five years and grows almost 12% every year. More than 145,000 people visited the islands last year. The islands' increased tourism has brought thousands of workers from Ecuador to seek jobs. Some workers have brought non-native animals like dogs, cats, pigs and goats. These animals compete for food with the islands' native animals. Some also attack the native animals. Ecuadorian President Rafael Corea declared the islands at risk in April. He has promised more restrictions on tourism and population. Mystery always has been part of the Galapagos. In 1535, a ship carrying the Roman Catholic Bishop of Panama came upon the Galapagos accidentally. 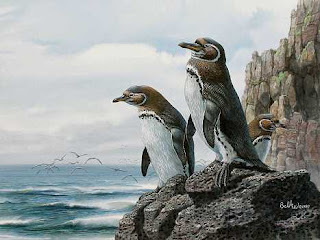 Tomas de Berlanga named the Galapagos group the Enchanted Isles. He was surprised to see land turtles that weighed more than 200 kilograms and were more than one meter long. He said they were so large each could carry a man on its back. Bishop Berlanga also noted the unusual soil of the islands. He suggested that one island was so rocky it seemed like stones had rained from the sky. The Galapagos Islands are home to many unusual birds, reptiles and small mammals. Some of the animals live nowhere else on Earth. 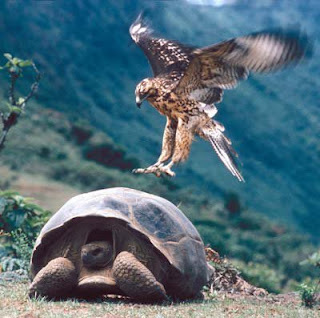 The tortoise is the most famous Galapagos reptile. But the marine iguana is also unusual. It is the only iguana in the world that goes into the ocean. The marine iguana eats seaweed. It can dive at least 15 meters below the ocean surface. And it can stay down there for more than 30 minutes. The islands also have a large collection of small birds called Darwin's finches. Charles Darwin studied the finches carefully when he visited the Galapagos in 1835. He separated the birds by the shapes of their beaks. 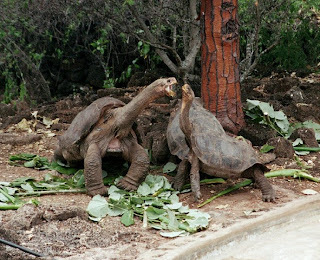 He discovered that finches that lived in different places and ate different foods had different shaped beaks.But the most famous animals on the Galapagos Islands are the thousands of giant tortoises. And the most famous of these is the one that scientists call Lonesome George because he is the last of his kind. He has been called the rarest creature on Earth. At one time, the islands were home to about 15 different kinds of land turtles. The largest island, Isabela, has five different kinds of tortoises. But, Lonesome George is not one of them. He comes from a smaller island called Pinta. Scientists found George in 1971. Humans and non-native animals had caused much damage to the environment on his island. Some animals and plants had disappeared. Lonesome George was the only tortoise found on Pinta. However, another scientist has noted that even if such a female is found, George has shown little interest in mating with female tortoises. George is between 70 and 80 years old. But some tortoises live longer than 150 years. If Lonesome George fails to become a father, the Pinta Island tortoises will disappear when he dies.This program was written by Caty Weaver. It was produced by Mario Ritter. I'm Shirley Griffith. And I'm Steve Ember. Transcripts and archives of our shows are at voaspecialenglish.com. Join us again next week for EXPLORATIONS in VOA Special English. 1. 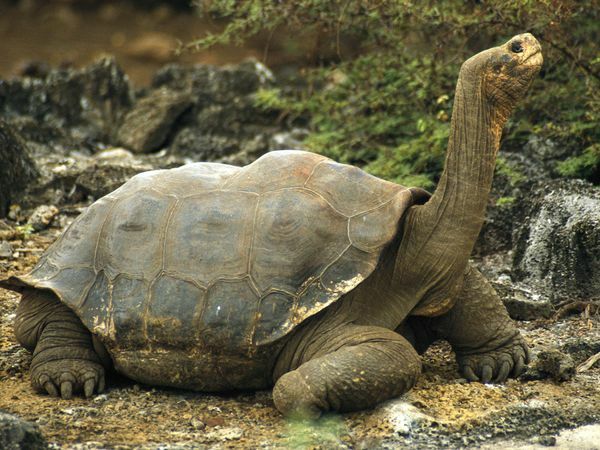 Lonesome George was discovered in 1971 on the island of ___________ . 3. The species on Galapagos are not threatened by ______________ . 4. A famous theorist, Charles Darwin, visited the Galapagos ____________ . a. before Ecuador acquired it. b. while Ecuador was in the process of acquiring it. 5. Scientists believe the strange animals that presently occupy the Galapagos got there by __________________ . 6. A species of _______________ lives on the Galapagos Islands. This type of bird is usually found only in the far north or south. 7. Charles Darwin studied finches at Galapagos. He found that different species of finch had different shaped beaks. He realized that these differences in beaks were because _________________ . 8. Attempts at getting Lonesome George to mate with a female tortoise on Isabela were ___________________ . 9. Another name for this story could be __________________ . a. "Unusual Creatures on Galapagos in Danger"
b. "The Story of Lonesome George"
d. "Ecuador's Struggle to Gain Possession of Galapagos"
a. scientific discoveries of the history of Galapagos.